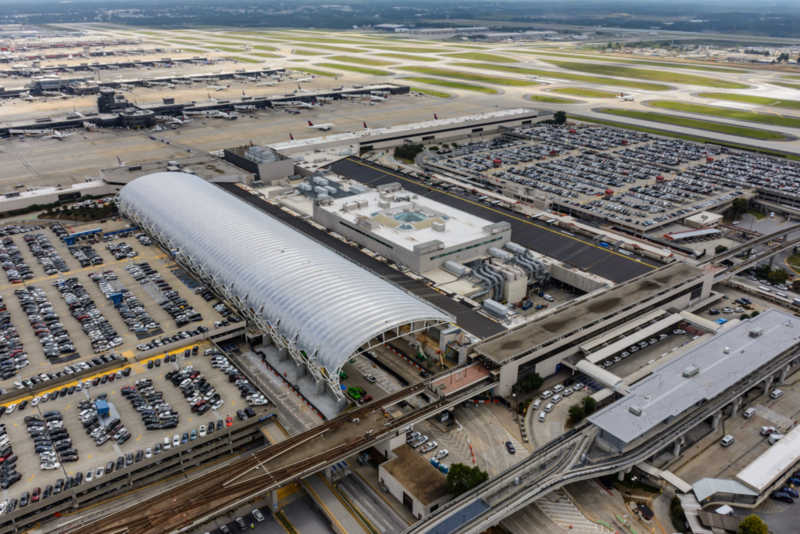 More than 3 million passengers are expected to travel through Hartsfield-Jackson Atlanta International Airport (ATL) during the Thanksgiving period between Friday, Nov. 16 and Monday, Nov. 26. Additionally, airline forecasts predict ATL’s one-day screening record of more than 93,000 passengers set this past Memorial Day holiday will be surpassed Sunday, Nov. 25. To facilitate traffic through the Airport, most public-facing construction will be halted during the holiday period. Nightly construction in fenced or barricaded areas will continue, but such work should not have an impact on passengers. Travelers picking up passengers should consider utilizing the North or South Hourly lots; both lots are immediately adjacent to the Domestic Terminal. Additionally, Atlanta traffic control officers are on hand to ensure safe, efficient travel through construction areas. Inside the Airport, green-coated customer service representatives assist guests and travelers 24/7.